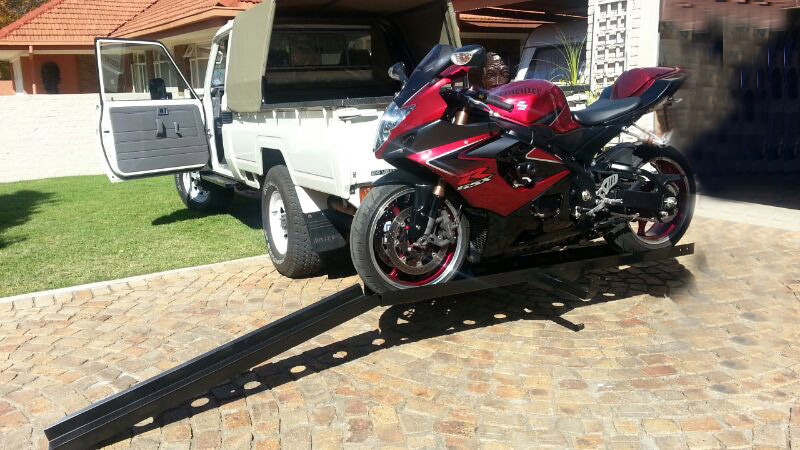 The X-RAMP allows you to load and haul your motorcycle quickly and easily! 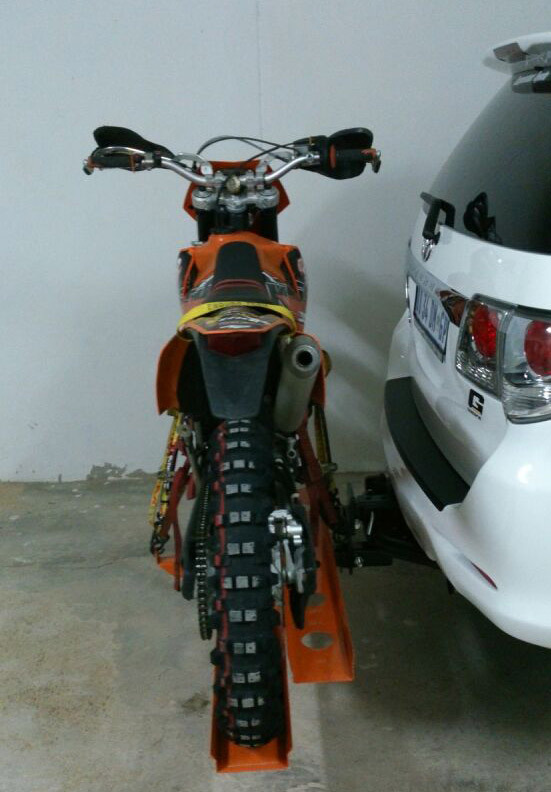 It features the capability to carry bikes that weigh up to but not exceed 250kg. 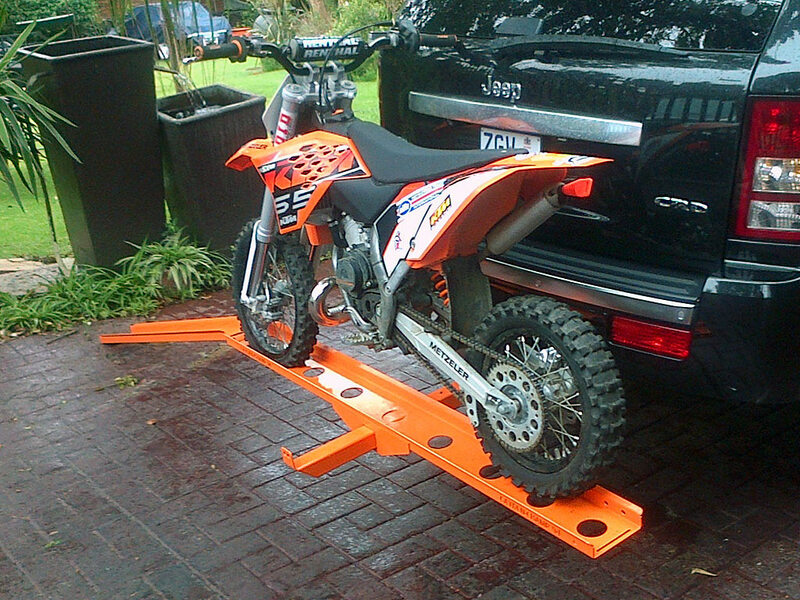 The easy-to-adjust X_RAMP is constructed with a steel platform and ramp in a black powder-coated finish that can be used to load your motorcycle. 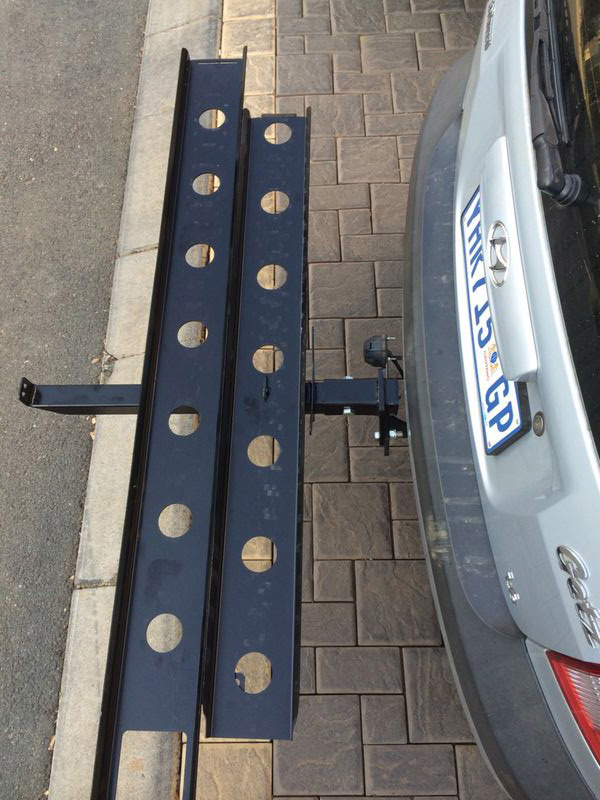 Carrier is made with durable, long lasting solid steel construction with powder coat finish and comes with a 12 month warranty. 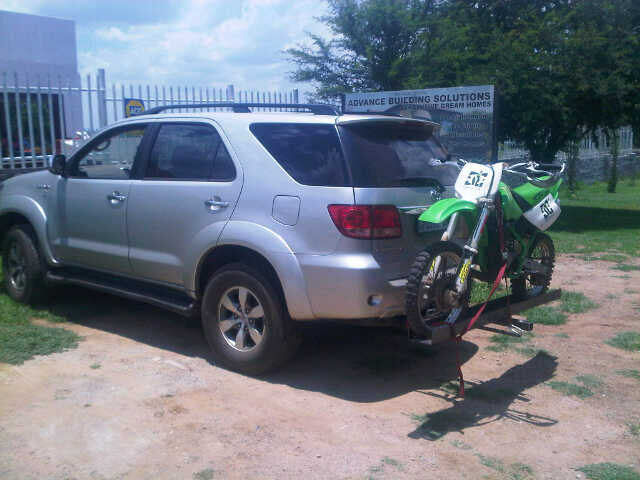 I dont have a bakkie or space for a trailer so got one of these and it works great!